Part 2: Police Brutality or Rough Justice? Abandoned by his white father, Bill Jackson struggled to navigate Spokane society as a mixed-race Indian in the late 19th century. Hardships and trauma pushed him towards a treacherous crime and eventually a violent end. Bill Jackson was born to a French-Canadian father and Indian mother on Moran Prairie, to the south-east of the Spokane Falls. During his childhood, Billy was abandoned by his father, leaving his mother to raise him and his two brothers alone. Navigating life as mixed-race Indian proved difficult for Jackson. Throughout his life, white citizens in Spokane Falls and Cheney had been busy dispossessing Indians and running them out of their towns. Like his brothers, Bill was constantly in trouble with the law. After spending approximately a year in the Cheney jail for murdering Spokane Chief William Three Mountains, Jackson continued to get into scrapes with the law. Officer Warren, who would be elected town Sheriff in 1887, soon had another warrant out for his arrest. The exact reason for this warrant is unclear, but the 6-4, 220-pound officer tracked down Jackson and attempted to arrest him. A full-on street fight ensued, on the corner of Howard Street and Sprague Avenue. The much-smaller Jackson held his own until Billy Smith, who was one-quarter Indian, stepped in and manhandled him. Smith would later be murdered in a saloon by Adolf Selhelm, a wealthy rancher. The jury would acquit Selhelm even though Smith was unarmed. This demonstrates the lack of legal protections that anyone with Indian blood possessed in American courts, during the late 19th century. Shortly after this arrest in 1887, Jackson would escape from jail. Trying to evade capture, Bill was heading to the Northern Pacific right-of-way near Cedar Street in Spokane’s Browne’s Addition. It was here that Officer Bill Gillespie caught up with him. Gillespie and Warren believed that Jackson had come into possession of a firearm while visiting the Fountain Saloon. According to the officers, Jackson turned and hurled a rock at Gillespie, then continued to flee. Officer Gillespie shot Bill Jackson in the back, and when he and Warren came upon the wounded Jackson no weapon was found. Instead, they found a new ring which Jackson had acquired at the saloon. Bill Jackson would die from his wound days later at Sacred Heart Hospital on Front Street, in the company of his mother who resided on the Coeur D’Alene Reservation. The Morning Review tried to downplay Gillespie’s guilt, claiming that the shooting was a “necessary measure.” The paper claimed that the rock hurled at Gillespie could have knocked him senseless, leaving him at the mercy of “the desperado who had just announced his intention to kill him.” The Review conveniently left out that Gillespie was accompanied by the strapping Sheriff Warren, who was armed and more than capable of defending the two of them against Jackson. The paper did point out that the event was a hot topic of discussion among whites and Indians, and that a few condemned the actions of Gillespie. It went on to say, however, that those few were outnumbered by the vast majority of people who used “common sense” and supported Gillespie’s actions. William Seehorn, an early pioneer in the area, recalled later that he believed that Gillespie had acted cowardly and unfairly towards Jackson. The inquiry over the execution of Bill Jackson was held at Sacred Heart Hospital immediately following his passing. The only witnesses that the jury of six would hear from were Sheriff Joel Warren, Dr. Morgan (the physician who examined the wound), and Officer Bill Gillespie. Sheriff Warren repeated the original account that he had given on the day of the shooting, and Officer Gillespie corroborated the account. The jury unanimously ruled the act justifiable homicide. Bill Jackson certainly was no saint and had more than a handful of serious brush-ups with the law, including the brutal murder of Chief William Three Mountains. But one must wonder why the act of murdering an Indian was met with a minor punishment of one year in prison, while the consequence for throwing a rock at a white officer, was death. 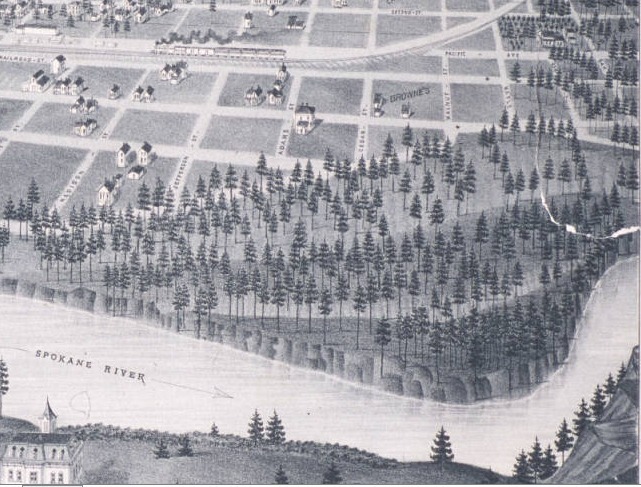 In 1887, Spokane was at its height of Indian removal efforts. 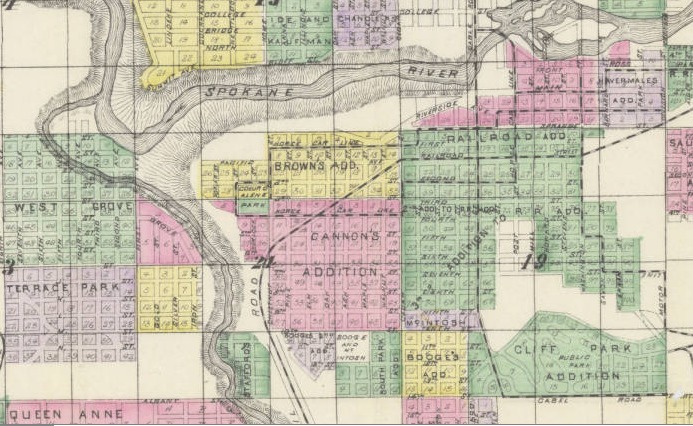 In 1885, the census recorded 21 “half-breed Indians” in a population of 8,919 and by 1887, only five of 11,315 people living in Spokane fit that description. A handful of lynchings in Cheney and another in Spokane, as well as increased policing of Indians in the city, effectively reduced the Indian presence in Spokane. In 1887, Spokane officials also decided that Indians would no longer be welcome at the 4th of July horse races and that the Indian camp by Gonzaga College needed to be broken up. Like many American cities in the late 1800s, Spokane was increasingly intolerant of Indians and wanted them removed to reservations. Scott Ward, “The Death of Bill Jackson,” Spokane Historical, accessed April 20, 2019, https://spokanehistorical.org/items/show/741. 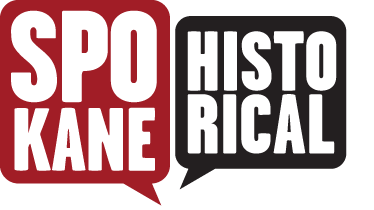 Kienholz, M. Police Files the Spokane Experience 1853-1995: Personal & Historical Accounts by a Career Staffer. Arthur H Clark, 1999, 208. Gwydir, Rickard D. Recollections from the Colville Indian Agency, 1886-1889. Edited by Kevin Dye. Limited Edition edition. Spokane, Wash: Arthur H Clark, 2001. Lewis, William S. Reminiscences of Pioneers of the Inland Empire. State Normal School, 1926. Cebula, Larry. “The Cheney Lynchings - Mob Violence or Ethnic Cleansing?” Spokane Historical. Accessed November 28, 2017. http://spokanehistorical.org/items/show/540. The Washington Historical Quarterly. Washington University State Historical Society., 1915. The Morning Review, September 27, 1887, 8. The Morning Review, October 16, 1887, 1. The Spokesman Review, May 31, 1925. The Spokesman Review, August 2, 1925.